But not for the first time in his illustrious, crazy, action-packed career, it was Zlatan Ibrahimovic who stole the show with two goals that underlined the new world order under Jose Mourinho at Old Trafford.If there was any doubt about how things stand at the fallen English giants on Mourinho’s watch, they were dispelled after 50 minutes when a clumsy trip by sub Jordy Clasie on Luke Shaw saw ref Anthony Taylor instantly pointing to the spot. The Old Trafford faithful might have been expecting skipper Wayne Rooney to step up and take the spot kick, as he has so many times in his decade with the club. But these are different times for United – not to mention Rooney who no longer finds himself as the biggest character in the United dressing room – and Ibrahimovic grabbed the ball and strode to the spot. The cheer that greeted that simple action was massive, almost as loud as the one a few seconds later when the lanky Swede convincingly stroked his second goal of the night past Fraser Forster. 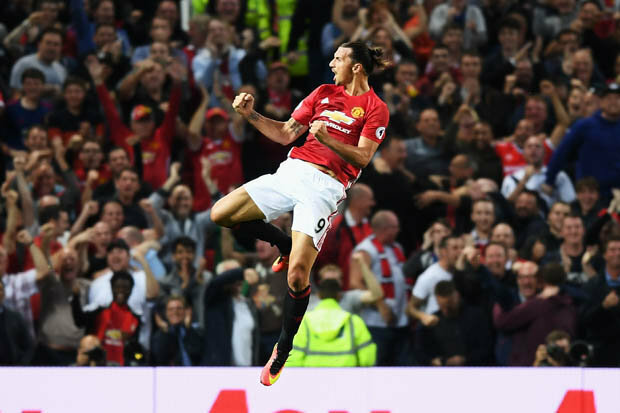 That took Ibrahimovic’s tally to four goals in three competitive games for the Reds and guaranteed his position as the cult hero fans have been looking for in the three darks years since Sir Alex Ferguson called it a day. Even on the night when the world’s most expensive player was supposed to be the centre of attention, Ibrahimovic would not be denied – and to Rooney’s credit, it was the England star who made the goal. He chased a lost cause as a loose pass rolled towards the right-hand corner flag and kept the ball in play, whipping over a blistering cross, right onto the head of Ibrahimovic who rose athletically to power home a bullet header.Mourinho had warned United fans not to expect Pogba to dribble past five men and score a wonder solo goal with his first touch. And sure enough Pogba’s very first touch saw him mis-kick, stumble and gift the ball to Pierre-Emile Hojbjerg who launched a counter-attack. But that was pretty much the only thing United fans could complain about in an impressive showing which probably contained more attacking excitement than their club had mustered in the whole of last season under Louis van Gaal. This might not have been a vintage night to remember as Pogba tried to re-acquaint himself with United and vice versa. 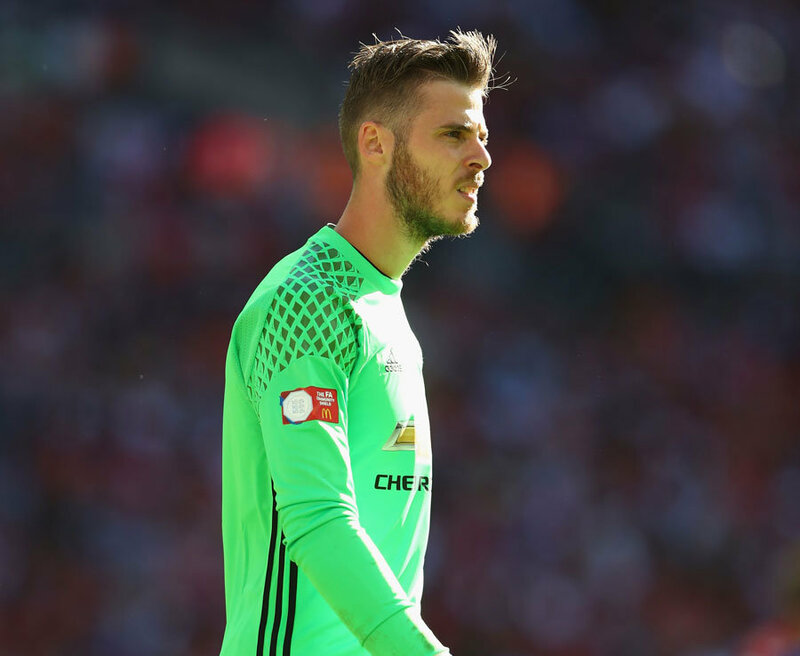 But there were certainly enough signs to think that the outrageous fee United had to pay out to bring him back could bring with it plenty of silverware.On 13 minutes, Juan Mata’s clever pass found Ibrahimovic who showed great footwork and laid the ball off for Pogba to sting Forster’s hands with a shot. Shaw, bombing on frequently down the left, soon found Rooney in the box and his chip was close to finding Mata in a scoring position until Forster intervened. Then, just before the half hour, Old Trafford was on its collective feet as Pogba’s clever chip was flicked on by the head of Mata and Ibrahimovic connected with an outrageous bicycle kick that flew just over. Virgil van Dijk’s bad judgement then let Ibrahimovic in down the left by-line where the Swede won a corner when the defender turned a dangerous cross behind. And Rooney, determined not to play third fiddle in the new Old Trafford hierarchy, looked to open the scoring with a crisp 25-yarder which Forster smothered well. Not that the Saints were just there to make up the numbers in this Pogba-Ibrahimovic Old Trafford love in, and they should actually have taken a 19th minute lead when Nathan Redmond’s cross just missed the head of Dusan Tadic at the far post. Shane Long shot on the turn into the side netting and Mata and Daley Blind gave the ball away cheaply, allowing Tadic to set Long clear only for the Saints striker to shoot tamely at David de Gea.Tadic actually had the ball in the United goal early in the second half only for his header to be ruled out for a clear push. And that looked like being a turning point, with Anthony Martial almost adding a second for United soon after and Ibrahimovic actually doing precisely that from the spot. Redmond might have given Southampton hope but failed to control the ball under pressure at the far post and Clasie cleared the goal with a wild shot. Instead, United pressed on for what would be a killer third with Pogba heading just over from a Mata corner and Martial sprinting through to be denied by Forster. If Pogba had buried a breakaway shot past Forster deep in injury-time, it would have been the perfect night for United but, even without that bonus, this was an evening that will have Premier League rivals watching anxiously. MAN UNITED (4-2-3-1): De Gea; Valencia, Bailly, Blind, Shaw; Pogba, Fellaini; Mata (Mkhitaryan 75), Rooney (Smalling 89), Martial (Herrera 81); Ibrahimovic. Subs Young, Rashford, Romero, Scheniderlin. SOUTHAMPTON (4–3-1-2): Forster; Cedric, van Dijk, Fonte, Targett; Hojbjerg, Romeu (Clasie 10), Davis (Austin 66); Tadic; Long (Rodriguez 84), Redmond. Subs Yoshida, McCarthy, Ward-Prowse, Pied.